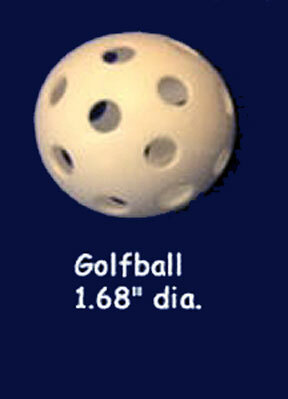 WIFFLE® golf balls in bulk- This is the golf ball size with a diameter of 1.68". They are sold in bulk quantities of 1 gross [ 144 balls ]. In addition to practicing your golf swing, these balls are also used in the Seaperch competition and can even be used as baffles in fluid and fuel tanks.